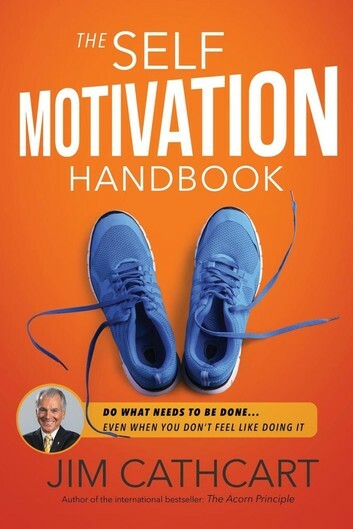 Jim Cathcart is the author of 19 books including the international bestsellers: The Acorn Principle (St. Martin's Press) and Relationship Selling (Leading Authorities Press, Macmillan, Advantage Quest) and The Self Motivation Handbook (Motivational Press). Mr. Cathcart was inducted into the Professional Speakers Hall of Fame and has delivered over 3,100 professional speeches around the world. His most recent presentations have included: Barcelona, Spain; Caracas, VZ; Shanghai, China; Santiago, Chile; and Wroclaw, Poland. He is also a popular Rock & Roll guitarist/singer and performs regularly in night clubs and at conventions. As the original author of Relationship Selling he is in much demand as a convention keynote speaker and motivational trainer. Do what needs to be done... Even when you don't feel like doing it. From the author of the international best-seller The Acorn Principle, comes the newest book on motivating yourself to reach the highest levels of success.